Jessica Reichert, MSN, CNM, APRN, received her Master of Science in Nursing degree from the University of Cincinnati College of Nursing and became a certified nurse-midwife. 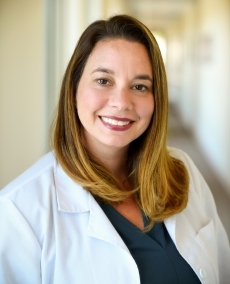 She is a member of the American College of Nurse-Midwives and an experienced clinician, having served as a high-risk RN with AdventHealth’s labor and delivery team for more than five years. Her role is diverse, flexible, and responsive to the unique needs of individual women and their families. Much more than delivering babies, she plays an important role in health promotion, antenatal education and reproductive health. She is a committed patient educator and supports mothers and babies throughout pregnancy and delivery. Note:- The list below is for reference purposes only and is subject to change. Please check with your health plan to confirm that Jessica Reichert, CNM is included before scheduling an appointment.